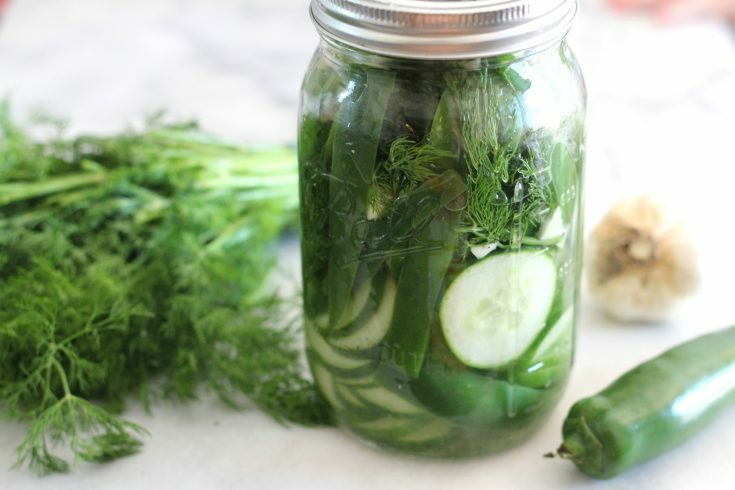 This recipe for jalapeño and dill refrigerator pickles creates a crisp, garlicky and spicy pickle that is perfect for summer snacking! For someone who eats low carb, I am told that I eat a lot of vegetables. I think that many people think that low carb eating is all cheese and bacon. And although cheese and bacon fits into this way of eating, one can’t survive on that. I am a huge fan of veggies. You get fiber, vitamins and fresh, tasty goodness. So I’ll go to the farmer’s market or I go to Costco, and I will buy WAY. TOO. MUCH. It happens all the time. Cucumbers are one of the worst, because I always buy the English cucumbers, which come in packs of three at Costco. I use approximately one before I forget about them and then they get mushy in the fridge. I absolutely despise food waste. Food waste is an atrocity. When I throw away food I think about all the resources it took to grow, distribute and buy that food. Then I think of all the people who don’t have good food to eat and I just get angry. Mostly angry at myself. I had to come up with a solution so that I don’t waste my produce again. Pickling. Pickling is the answer. At least for me. Making refrigerator pickles is a quick and delicious way to make sure my cucumbers (and other produce) doesn’t go bad and gets eaten. These jalapeño dill refrigerator pickles have become a favorite snack for the whole family. They have a little bit of heat and that salty, vinegary nip that I crave. Plus, they are ready in just a few hours. I don’t know how long they last in the fridge, because they are eaten up within a day. Even the Mr. eats the jalapeños that I throw in for flavor! Is it snacktime yet? Try these Low Carb Everything Crackers with some Garlic Herb Cream Cheese Spread! Many of the recipes for pickles call for a bit of sugar. Sugar does act as a preservative, but the acidic vinegar does most of the preserving. The sugar does add a bit of flavor though. Trying to limit the amount of sugar we eat is obviously very important to me, so I swapped the sugar for a teaspoon of monkfruit sweetener. Voila. It’s perfect. Me being me, I rarely stick to exact recipes. Sometimes I make the cucumbers extra spicy by adding two jalapeños and sometimes I go extra garlicky with six cloves of garlic. It really depends on my mood and what ingredients I have on hand! If you like pickled things you will also love these Quick Pickled Radishes! Clean and dry a quart sized mason jar with lid. Slice cucumber into 1/4 to 1/2 inch slices. Place in jar. Remove seeds from jalapeño and slice lengthwise. Place in jar. 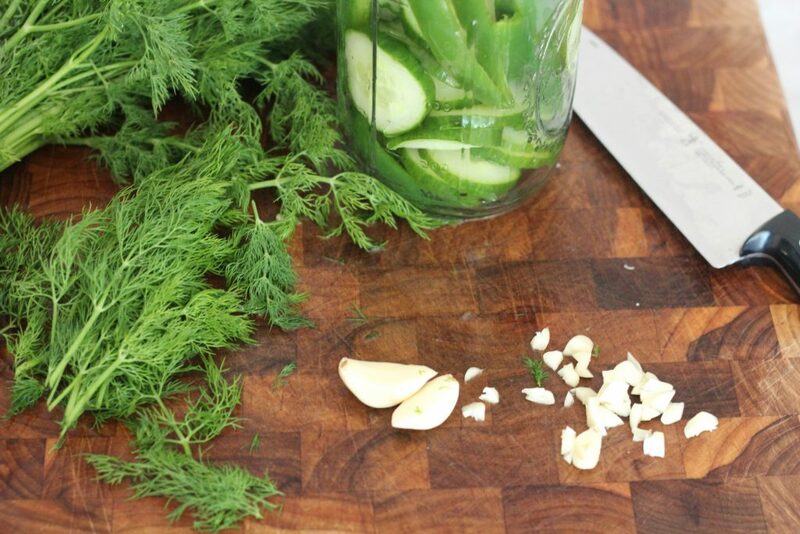 Add dill to jar. Coarsely chop up garlic and put in jar. Add in salt, monkfruit sweetener, and pepper. Pour in vinegar, about 2/3 to top. Put lid on jar and shake to mix. Refrigerate for at least six hours, shaking occasionally to mix ingredients. 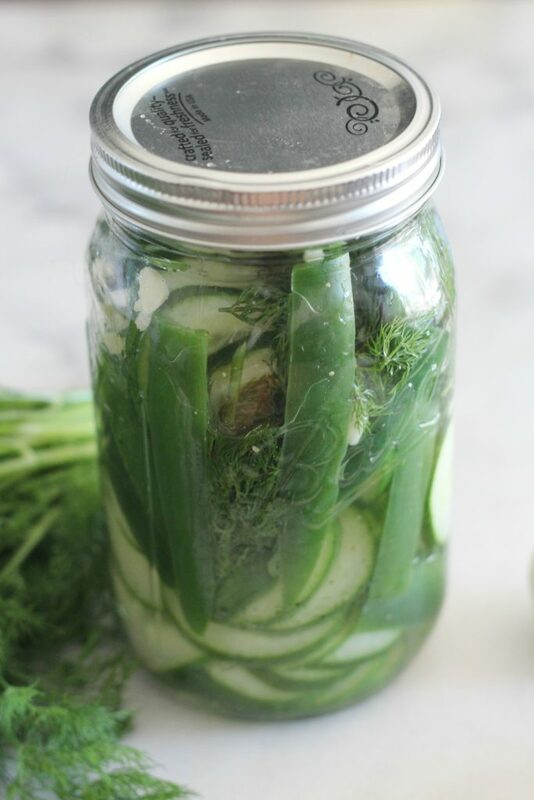 Enjoy snacking away on these jalapeño and dill refrigerator pickles, they are perfect for your low carb lifestyle, so no guilt! I do love a good refrigerator pickle but I am not too sure about the jalapeno. I do enjoy some heat but not too much! 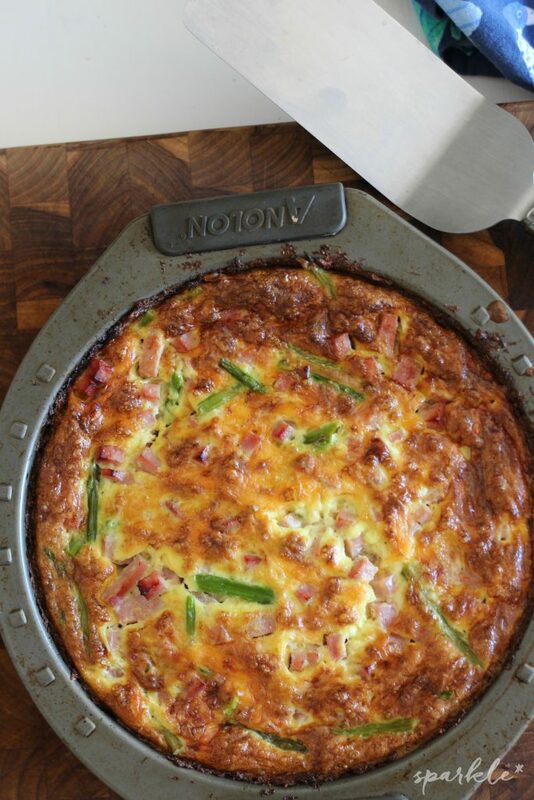 This seems like an easy enough recipe that would make a good snack without the guilt. Yum! I’ve definitely had dill pickles before but I don’t think I’ve ever had them with jalapenos! Definitely something I would try! perfect for summer snacking indeed! 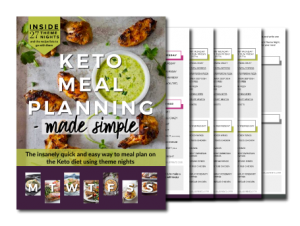 I cant have full, proper meals with the weather being so hot here so i try to have as many snacks as possible to keep me full, I will definitely try this recipe! This looks so cool. I have always wanted to be able to do some home pickling. I really do love my pickles and making them at home would be so fun. This sounds spectacular and I’m definitely going to have to try these. Pinned – Thanks for sharing on To Grandma’s House We Go! I’ll be featuring you next week. 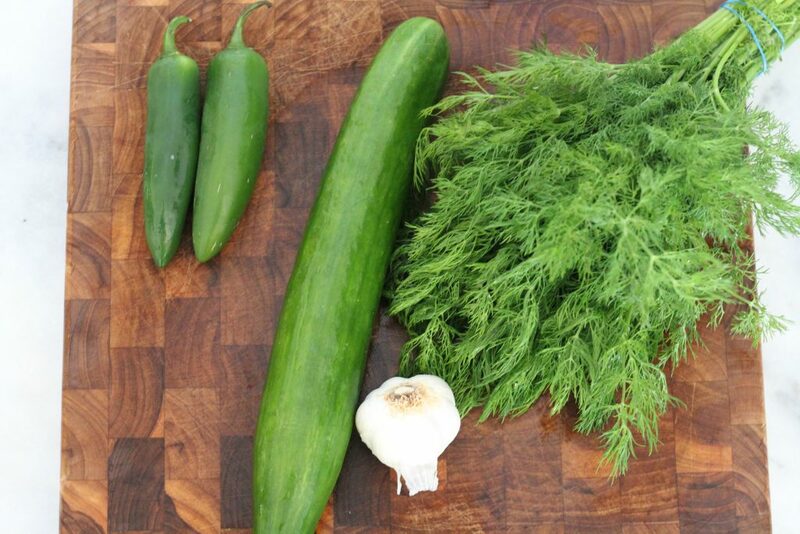 I have never tried making my own pickles but I know several friends who swear by it. Thanks so much for sharing with us at the Summer Time Fun Linky. Pinned.